Home Awesome Products The ALL NEW Awesome Adventure is HERE! The ALL NEW Awesome Adventure is HERE! And let me tell you, it is AWESOMER than ever! If you have been discipling with Awesome Adventure over the years – you are in for an EYE-POPPING surprise! You will find the same Bible-Rich Content that covers the same 12 Basic Discipleship Lessons – but communicated in an entirely new exciting way! I’ve been personally transformed into a cartoon (!) 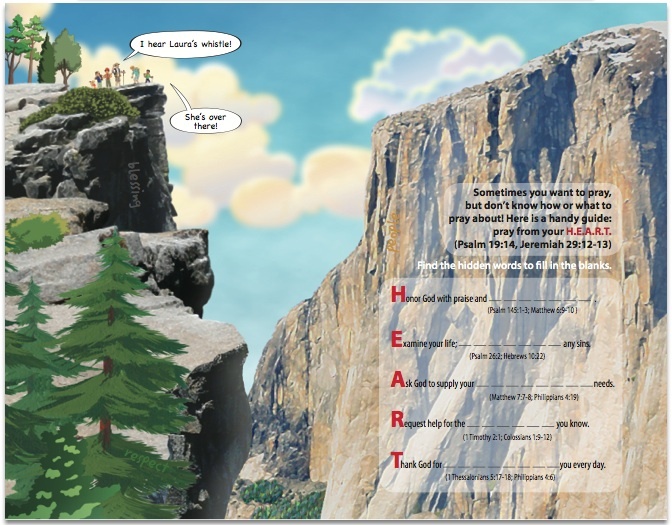 – and entered into the book to take Dee, Cy and Paul (and their trusty dog, Chip) and two other new Christians, Luke and Laura, on a hike in Yosemite National Park to learn all about God and what it means to walk with Him! Along with way they visit actual historic sites in Yosemite while learning about the Bible, Prayer, Fellowship, Spiritual Gifts, and many other important topics – while discovering the parallels between hiking and walking the Christian life! They learn that discipleship comes with dangers, and decisions and even a run in with a bear! Your young diciples will learn right along with the kids in the book what it means to live for God along the path of life. There are fun interactive puzzles, codes, mazes, word searches, and colorful illustrations that make the book seem to come alive. I’m especially excited that a lot of my own photography from over ten trips to Yosemite was used, often integrated with the graphical cartoons for an amazingly unique look that you just have to see – its photo-realistic, and yet cartoony, because it is a blend of actual photos and art, for a look that I’ve never seen done before. 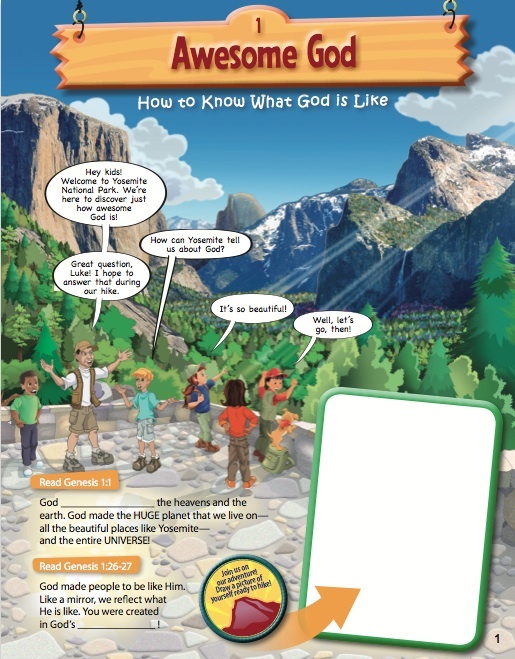 But beyond the amazing visual appeal, and engaging elements to attract kids – it is still the strongest tool on the market for discipling kids one on one, which is why my wife and I wrote it years ago, and why DiscipleLand published it and began their entire Adventure Series with this edition. Sunday School and Kids Church Curriculums do a lot of good in teaching kids the Bible – BUT unless a parent or caring adult takes the time to disciple a child one on one through the basics of the Christian Faith, how do you know they understand and ‘own’ their faith? How can you be sure they understand the basics and can stand firm when they hit their teenage years? How can you help them establish the important habits that will last them a life time? That is what Awesome Adventure was designed to do! The attractiveness and fun is to engage kids, the solid biblical content is to help make a disciple of Jesus out of them as they dive into the Word of God! 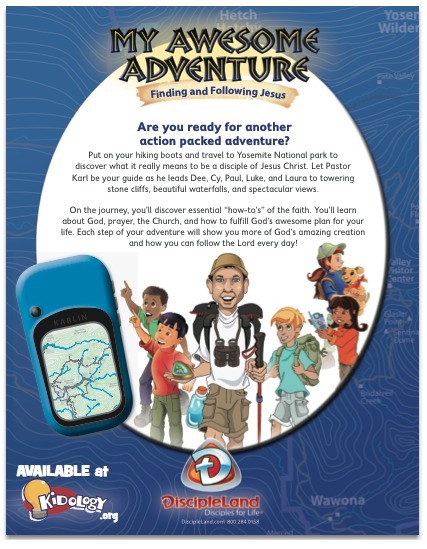 Awesome Adventure gets kids into the Bible! 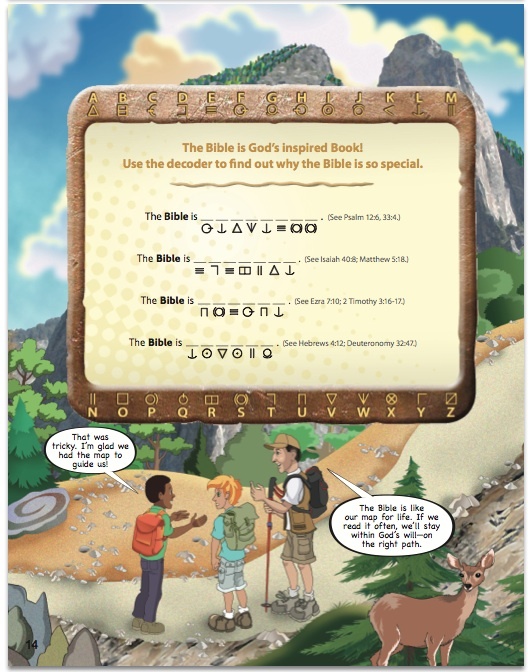 There are over 220 scripture references in Awesome Adventure. When kids look these up and highlight them in their Bible over the course of this study, it gives them a powerful overview of Bible and a great sense of confidence in their ability to rightly handle the Word of God.